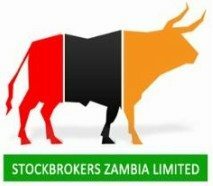 Pursuant to section 3.59 of the LuSE Listing Requirements, the Board of Directors of Real Estate Investments Zambia Plc (“REIZ” or the “Company”) wishes to announce the retirement of Mrs Doreen Kabunda as Director of the Board effective 27 March 2019. Furthermore, the Board wishes to announce the appointment of Mr Review Namanje as Non-Executive Director following his election at the Annual General Meeting (“AGM”) held on 27 March 2019. Mr Namanje is the Board Chairperson & Nominations Committee member for Saturnia Regna Pension Fund (Registered Trust) since 2016 and is employed as Head-Human Resources at MRI Seed Zambia Limited. He holds a Master of Business Administration (GMBA) from Lancaster University, United Kingdom and a B.A. Education & Psychology (Merit) from the University of Zambia. He is a full member of the Zambia Institute of Human Resource Management (ZIHRM) and Young HR Professionals. The Board would like to express appreciation to Mrs Kabunda for her valued contribution to the Company during her tenure as a director and wishes her well in her future endeavours. 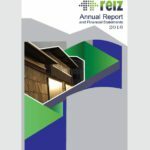 Additionally, the Board and Management of REIZ wishes Mr Namanje all the best in his new role and are confident of his abilities to successfully execute his duties. Real Estate Investments Zambia PLC (REIZ), listed on the Lusaka Stock Exchange (LuSE), is the leading real estate investment, development and management company in Zambia. Originally the North Western Rhodesia… READ MORE.